Thomas Wilson Dorr has been called an unlikely people’s hero in the Rebellion that bears his name. A well-educated lawyer, Dorr hailed from an upper-crust Rhode Island family. 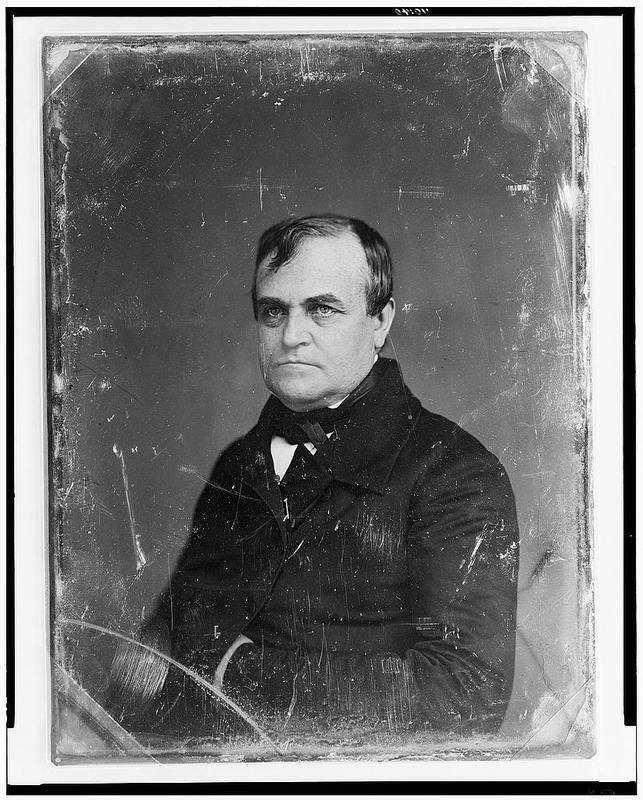 His father, Sullivan Dorr, amassed great wealth through his dealings in the China Trade, and Dorr’s mother, Lydia (Allen) Dorr, was the sister of the prominent textile manufacturer Zachariah Allen. Thomas Wilson Dorr’s family aligned themselves with Samuel Ward King and the Charterites during the conflict of 1841-2. His parents even wrote to plead with him against running for governor under the People’s Constitution, but he was not dissuaded. When Dorr and his followers attempted to seize the Providence arsenal, Dorr’s father and uncle, Crawford Allen, were among the men on site to defend it. Ultimately Dorr was estranged from all in his family, apart from his mother. 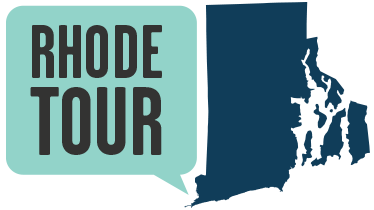 Thomas Wilson Dorr would likely have been surprised, although hardly displeased, to learn that his legacy in Rhode Island lives on. 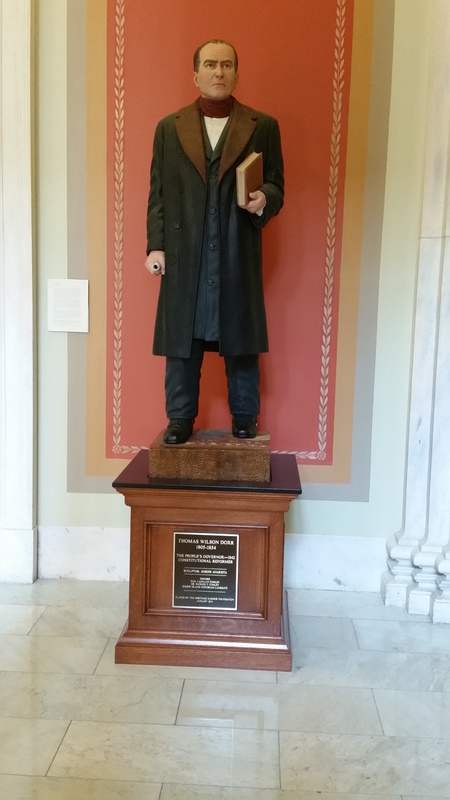 While he was not able to secure King’s seat as governor in the Old State House on Benefit Street in 1842, Dorr’s likeness now stands outside the senate chamber of the Rhode Island State House on Smith Hill. This location, 109 Benefit Street, was the home of Thomas Wilson Dorr. Sullivan Dorr House: This undated photograph shows the Sullivan Dorr House, built in 1809 at 109 Benefit Street. The house was constructed on the former house lot and burial site of another political rebel, Roger Williams. 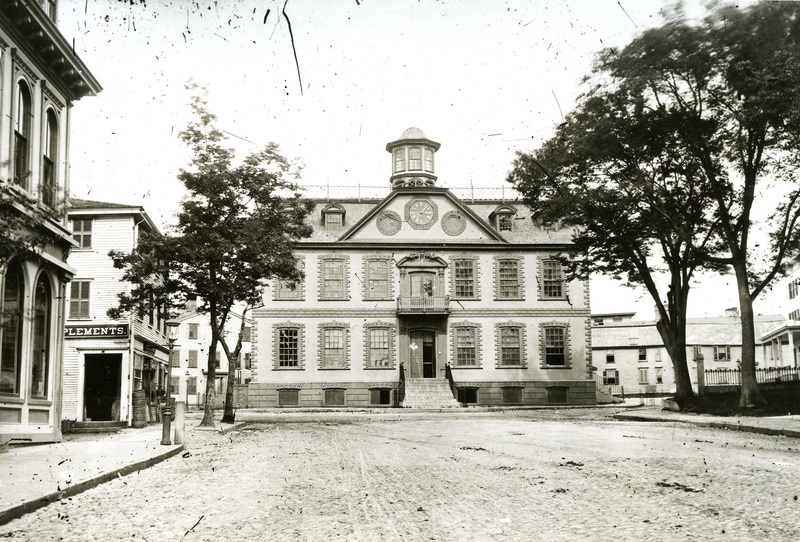 The Colony House: This image shows Newport's Colony House where Thomas Wilson Dorr's trial took place in 1844. Thomas Wilson Dorr’s headquarters were located at Burrington Anthony’s House at Atwells Avenue, which is still extant. See this pin for more details. Historian Patrick Conley came into possession of a scrapbook compiled by Thomas Wilson Dorr that reveals a different, nonpolitical side of Dorr, a man who appreciated poetry and travel literature. Learn more here. Elyssa Tardif, “Thomas Wilson Dorr,” Rhode Tour, accessed April 21, 2019, http://rhodetour.org/items/show/225.